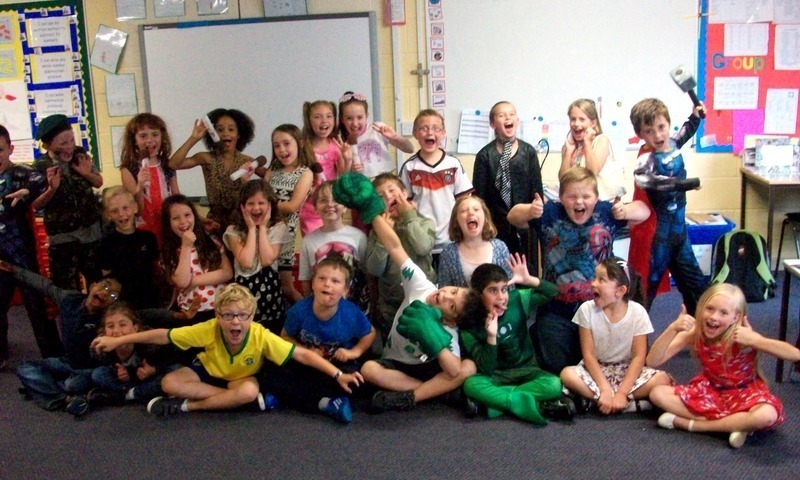 The children of Bickleigh Down Primary School, Plymouth, dressed up as their favourite superheroes (famous for wearing their pants over their costumes!) to take part in some super-fundraising. The pupils were not only super because of their fantastic costumes but also because they all brought in donations of children’s underwear for the students in the Stand by Me GCEC School, Burma. On the 18th of July as the school filled up with superheroes, it also filled up with many pairs of ‘pants’. Each child was asked to donate one pair of underwear but they went above and beyond, many brought multipacks, resulting in hundreds of pairs of pants and knickers! The underwear will be going to the children attending the GCEC School, including the children that live in our Blessings and Mephibosheth Homes. The GCEC School provides around 200 children with a quality education, and has provided excellent teaching since it’s opening in 2003. It has been through many challenges, including spiralling rents, unreasonable landlords and persecution from local authorities against Christian Schools. But it is now one of the most popular schools in the area of Tahan, Northern Burma, giving its students a worthwhile education. The underwear will be an exciting and useful gift for the children of GCEC. Underwear is especially important to the young girls in our care as a pair of knickers can restore their dignity and give them a sense of worth. Children are always so happy to receive such a gift and some are seen waving their underwear in their hands, showing the fun and pretty patterns to their friends. Thanks to the generosity of Bickleigh Down Primary School the students of GCEC will feel very special and loved to receive their gifts from the superhero students! Read more about our work in Burma here.